(3 April 2018, Macao) The 2018 Macao International Environmental Co-operation Forum and Exhibition (2018MIECF) is to be held from April 12 to 14, with the theme “Shaping of Eco-Cities for Inclusive Green Economy”. The event is organised by the Government of the Macao Special Administrative Region. As in previous editions of MIECF, the organiser has invited a renowned expert in the environment sector to deliver a keynote speech. Christiana Figueres, a world expert on global climate change, will be the keynote speaker of the “Green Forum” at the 2018MIECF. She is the current Vice-Chair of the Global Covenant of Mayors for Climate and Energy and the former Executive Secretary of the United Nations Framework Convention on Climate Change (UNFCCC) from 2010 to 2016. Ms. Figueres will share her valuable insights into the broad directions of global environmental protection and sustainable development, as well as the latest development of eco-cities and the green economy. Ms. Figueres is a ClimateWorks Foundation board member; one of the World Bank Group’s leaders on climate action; a Senior Fellow for Conservation International; and the convenor for Mission 2020. Her keynote speech at the 2018MIECF will bring in the discussion on cities being the key for the future development of the earth. There were two main reasons for the choice of topic: in her view, three-quarters of the global population will be living in urban areas over the next 20 years, and cities are the major contributors to greenhouse gas emissions in various regions of the world. Ms. Figueres will also share her insight into the challenges related to global climate change, highlighting the fact that if the environmental impact of urban growth is ignored, cities will be the source of approximately 80 percent of the world’s greenhouse gas emissions in the future, while facing challenges including continuous population growth, higher carbon footprint, air pollution, insufficient transportation and infrastructure, and food safety risk. Despite these challenges, opportunities are huge, as Ms. Figueres will elaborate in her speech, noting that about 60 percent of urban infrastructure is yet to be built, which indicate an opportunity to make cities more sustainable, liveable and economical. During her tenure in the UNFCCC, Ms. Figueres brought together national and regional governments, corporations and activists, financial institutions and communities of faith, think tanks and technology providers, non-governmental organisations, and parliamentarians, with the aim of jointly devising the historic Paris Agreement on climate change, in which 195 sovereign nations agreed on the joint effort to limit future global temperature rise to below 2°C. The agreement entered into force within only a year, a record-breaking time for the UN in terms of bringing a major global diplomatic accord on climate change into force. 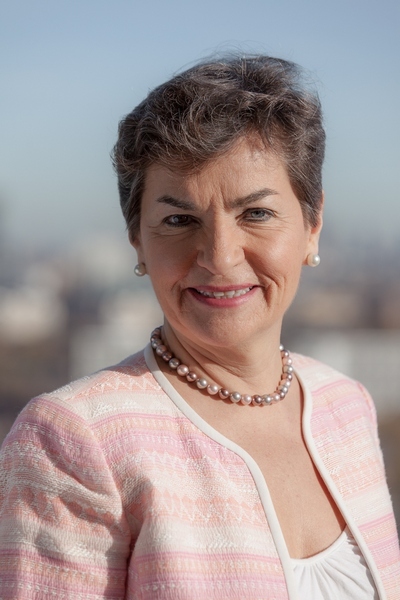 In addition to her outstanding diplomatic achievements over the past 20 years, Ms. Figueres has also served as Director of Renewable Energy in the Americas (REIA), and in 1995 founded the non-profit Center for Sustainable Development in the Americas (CSDA), which she directed for eight years. The three-day 2018MIECF includes the “Green Showcase” exhibition area and the “Green Forum”. or via telephone at: (853) 8798 9675 (Macao) or (852) 2511 8112 / 2511 8126 (Hong Kong).